New Tarot Deck Influenced By Golden Dawn and Builders of the Adytum – Zero Equals Two! 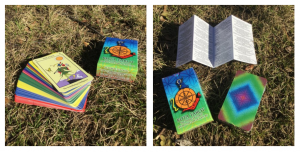 After years of diligent study and practice, Soror Tzadkiel has finally launched the Pre-Sale campaign for her tarot deck, Rota Tarot! Largely influenced by the Golden Dawn and Builders of the Adytum traditions, this unique and visionary deck takes the practitioner on an alchemical journey through the Qabalistic Tree of Life. Integrating traditional color schemes and Hermetic symbolism, this tarot deck is a clear reflection of the classical teachings imbued in Western Esoterica. It is an excellent divinatory tool for any serious practitioner of the Western Mysteries.